Hapag-Lloyd says the switchover to using IMO 2020 compliant 0.50% sulfur fuel must start from 4Q 2019. "Low sulfur oil bunkering will have to start in the fourth quarter of 2019 due to the long round voyage times," the carrier explained in an insight article posted on its website this week. And after outlining the three main compliance choices available for shipowners - namely, converting to liquefied natural gas (LNG) bunkers; installing scrubbers and continuing to burn HSFO; and the "simplest" route of burning more expensive, inherently compliant 0.50% max sulfur fuel - Hapag-Lloyd echoed comments by 20|20 Marine Energy's Adrian Tolson earlier this year in that choosing the "right" solution is a per vessel decision. "Each solution comes with its challenges. That is why right now there is no one right way to go. 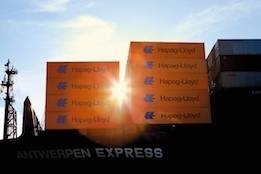 Liners have to individually decide the mix which seems best for them," Hapag-Lloyd said. The global 0.50% sulfur cap comes into force from January 1, 2020.